Olive oil is one thing – it’s an essential flavor for any well-stocked kitchen, and the health benefits are so well-known that it’s the poster child for “good fat.” But what about the actual olives themselves? They’re not just diluted imitations of their most famous product; they actually have plenty to recommend them on their own merits! And even beyond that, they offer a way to up the flavor of your meals and experiment with intense tastes that aren’t sweetness. After all, nutritious food won’t do you much good if it’s sitting in the fridge uneaten because it’s just too bland to even contemplate eating! Here’s a look at the nutritional benefits of eating olives – and how you can spice up your Paleo routine by experimenting a little at the olive bar. So what’s actually in an olive, anyway? Olives are technically fruits, but like avocados, they’re fruits with more fat than sugar. Almost all the calories in an olive come from fat. Specifically, they’re very high in a kind of monounsaturated fat called oleic acid, the same fat that’s extracted from them to make olive oil. 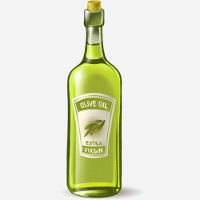 But unlike olive oil, the actual olives are still in whole-food form. Where food fraud revolving around olive oil is very common (and incredibly profitable for the people who do it), olive fraud is much harder to pull off. You can replace olive oil with canola oil and food coloring; it’s much harder to replace an actual olive with a pile of canola seeds. That makes olives a very safe way to get the good stuff in olive oil – monounsaturated fat plus the antioxidants that keep it intact and preserve it from heat and light. 15 olives, which is a good-sized handful or the amount you might throw on a salad, contains around 7 grams of fat. That’s not enough to make a full meal’s worth, but it’s great for a snack or as part of a meal. So the oil is the part that’s pressed out. But obviously olives have a lot more to them than oil – what’s in the rest of it? A reasonable amount of fiber – close to 10% of the recommended daily amount. Smaller amounts of calcium, Vitamin A, and Vitamin E.
As whole foods, olives are also rich in antioxidants, the same antioxidants that make olive oil resistant to oxidative damage. They won’t be going up against liver for the title of most nutritious food any time soon, but they’re not exactly Doritos, either. One common objection to olives is that they’re technically a “processed food” and that the processing adds a lot of salt. It’s true that they are “processed” – and it’s a great illustration of the truth that “processing” is not automatically bad. When you cut p a carrot, you’re “processing” it; does that make the carrot unhealthy because now it’s in small pieces? If you want to get really technical about it, chewing is a form of “processing;” does that mean you should gulp down all your foods whole for maximum health benefits? Obviously not. The important question is what happens during the processing, not “is it processed?” In the case of olives, the “processing” is basically a form of fermentation/brining that helps remove a bitter chemical in the raw fruit. Sometimes, lye is used to soften the olives before they’re fermented: this sounds scary but actually isn’t, and you can do it at home in your own kitchen if you want. Lye is a harsh substance because it’s very strongly alkaline (the opposite of acidic), but there aren’t any food toxins in it and it’s washed off the olives before you eat them. As for the salt: salt is not the enemy. It’s necessary. And in fact, when you go Paleo and stop eating processed foods, it’s important to be aware of getting enough salt. If you’re craving potato chips, pretzels, and other super-salty foods, you might just be in need of some more salt in your diet: olives are definitely a better answer to that craving than Pringles. Kalamata olives: these are the big, almond-shaped, dark purple ones. Niçoise: round and ranging from light to dark purple. Manzanilla: bright green and roundish. All of them are tasty, all of them are nutritious, and there’s really no substitute for taking home a few containers yourself to see how you like the different kinds. Be daring and try an experiment! For one thing, you can just eat them straight. They’re a perfect option for snacking, since they provide a healthy dose of fat to keep you full and avoid the cycle of blood sugar highs and crashes. With the growing recognition that fat isn’t actually the enemy for weight control, a lot of companies are making conveniently snack-packaged olives in little envelopes or plastic tubs that you can just throw in your bag and go. It’s like those lunchbox-sized bags of chips, but actually healthy! 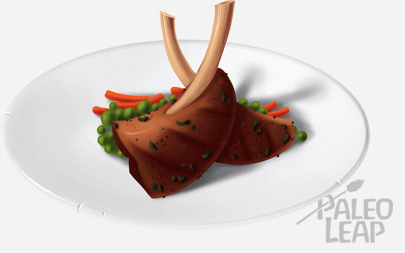 Olives are also very tasty with lamb. But don’t limit yourself to eating them plain. Olives also add a rich flavor to all kinds of cooked foods, especially ones you can slowly braise to let the tangy, briny olive-flavor really sink into a sauce or a piece of meat. They’re add a lot of depth to tomato-based sauces, like the one in this Nicoise chicken stew. They’re also good for adding a little more intensity to chicken and fish; here’s a bright but flavor-packed chicken recipe with olives and lemons to give it a Mediterranean flavor. Try them in salsa over whatever you like, and of course, they also add a welcome pop of flavor to big leafy salads – or big, non-leafy salads. Basically, olives are a way to ramp up the flavor of anything with a sophisticated taste that doesn’t rely on sweetness for intensity. A typical junk-food diet is very good at delivering intense sweetness, but there are so many other flavors out there to keep things interesting! If your food is feeling bland, give them a try as a picker-upper and see how you like the results. A lot of their bulk is water and fiber, but olives are reasonably nutritious and particularly notable because, unlike olive oil, they’re hard to fake. So if you can’t get high-quality olive oil, eating the whole olives is a way to make sure you’re actually getting the oleic acid and antioxidants, and not just canola oil dyed green. What might be even more healthful is the power of olives to scratch that itch for a strong flavor, but without going anywhere near sweetness. Experimenting them is a fun way to add some extra pep to your food, and if that stops you from diving back into the arms of prepackaged junk, it’s definitely fair to say that tastiness counts as a “health benefit” in this case.